Shortly after McConnell announced his idea for funding on the Senate floor, Meadows said pushing the funding on a continuing resolution would be a Christmas present for Democrats, as well as a Valentine’s Day gift. He also said the border wall would not be built. “The bottom line is simple: it’s deeply irresponsible for this Congress to keep sending the president status quo funding bills, without any of his promises included, and essentially say ‘sign this, or shut down the government.’ The president doesn’t pass bills — that’s our job, and for Congress to surrender and accept defeat before the hard work even starts is wrong. 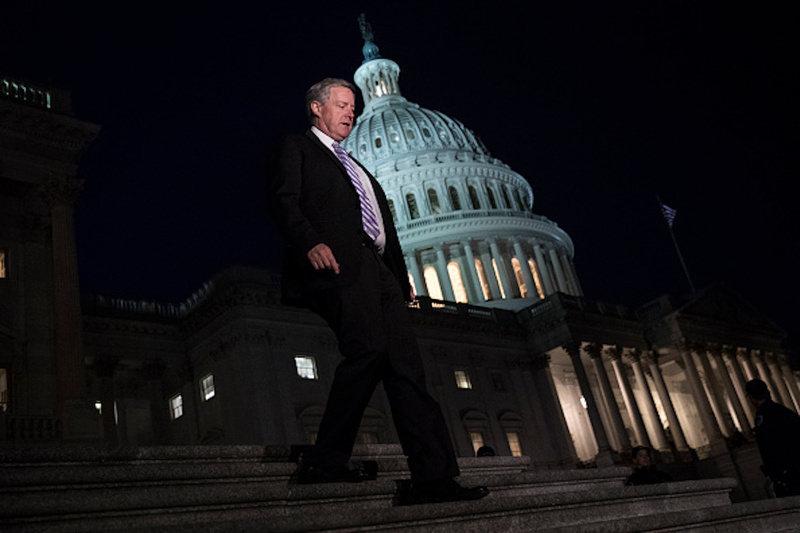 The time to fight is now,” Meadows told The Daily Caller News Foundation.